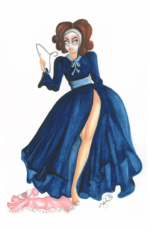 “My name is Talky Tina, & I’m going to kill you!” Introducing Fashion Villain, Talky Tina! The Fashion Villains collection is a fashion illustration style set inspired by classic horror & cult film characters. 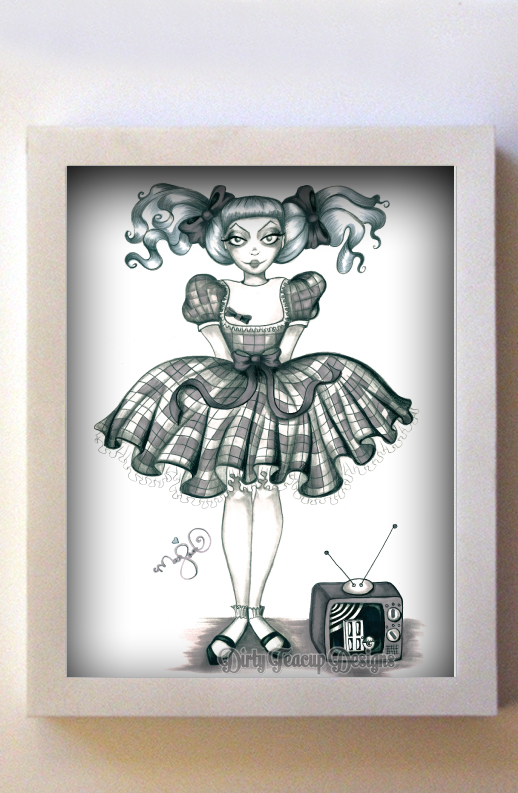 A print of “Talky Tina” by Dirty Teacup Designs. 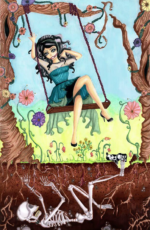 She is printed on high quality 12 pt glossy cardstock. She measures 8″x10″. Print features her name on the back. The print you receive will not have the Dirty Teacup Designs watermark on the front. 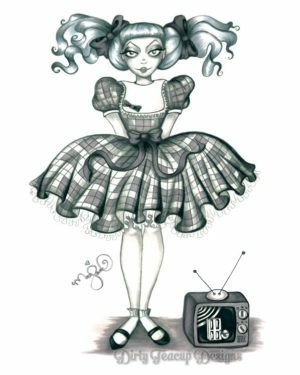 If you would like Talky Tina signed by the artist, please let me know when you make your purchase. You better be nice to her!